In the early 1960s, Ruby, a spunky unwed teen mother was wooed and won over by the founder of the McCloud Home. Now, forty years later, the historic property has been converted into an inn that Ruby runs with one of her daughters, Jill. When Jill's fourteen-year-old daughter begins to search for the identity of her father, she sets in motion events that will test the bonds that bind mothers, daughters, and sisters. Jill unwittingly aids the forces of upheaval when she agrees to host the wake of the town matriarch. As the guests-including the matriarch's handsome nephew and Jill's vivacious, irresponsible sister Jocelyn-return to the small town, the convergence of people and memories uncovers rivalries, sparks romance, recalls heartbreak, and reveals a shocking family secret, one that could separate the McCloud women forever or lead them to the renewal of their powerful, enduring connection. Sounds like a great women's lit story! Please include me, thanks. It's been awhile since I read a good chick lit...please sign me up! This sounds like a wonderful book!! Please include me as well! This is just the type of book I enjoy reading when I want to kick back and relax! 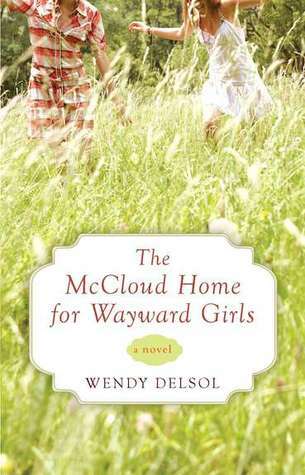 I love Wendy Delsol and would love to read this. i would love to read this book wendy delsol is a favorite of mine her stork and frost books are epic! i just love her writing style. Ooh, this one sounds really good. I love stories about families unravelling due to buried secrets of the past getting unearthed. sounds like a good story. thanks for the giveaway! I love reading books with secrets, and this one sounds wonderful. Please enter me. Thanks! I enjoy books about female relationships. Please enter me. I would like to read this. Thanks! Definitely a book I really want to read. The weather is semi starting to get cool, and it's a perfect book to read and enjoy under my special reading tree!! Thanks for the giveaway, I'd love to enter! Wayward girls - I like the sound of that. This sounds like a really good book=) Thanks for the giveaway! This has a fantastic title - I love it! oooh...sounds right up my alley. I saw this one on Free Book Friday...but didn't win, maybe I can win here! I have been DYING to read this one!